The site is located at the northwest part of Zhangjiagang City, with total area about 20.8 square kilometers. 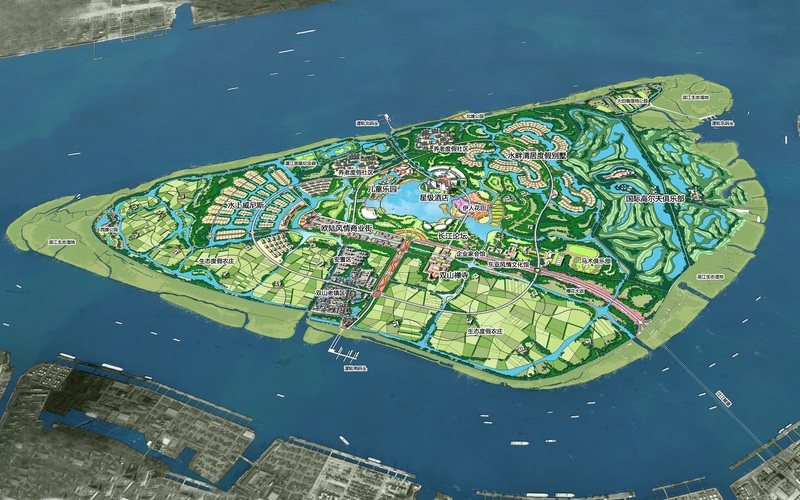 The plan focuses on “Attraction, Vitality and Capacity” three elements. 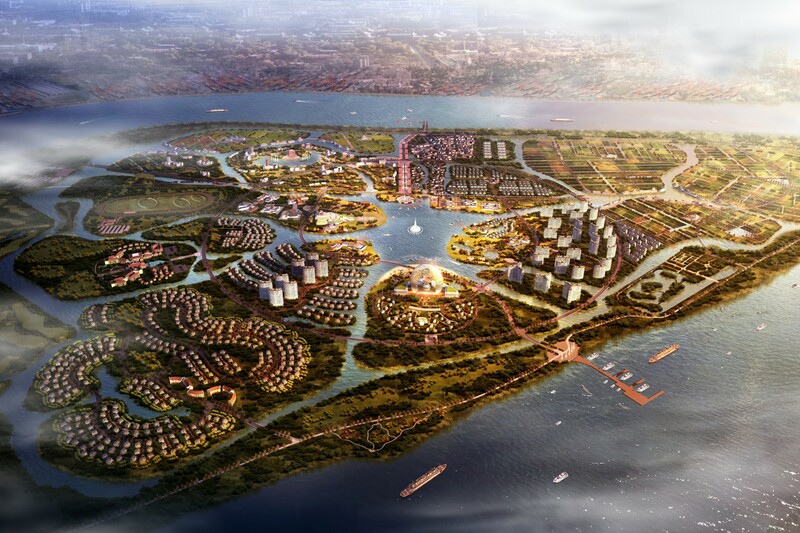 The Attraction is to attract the tourist, the developer, the capital and logistics; The Vitality is to promote the growing capacity of the local development in the unit time and space. The capacity is used for the resort area to endure the human activity interference. 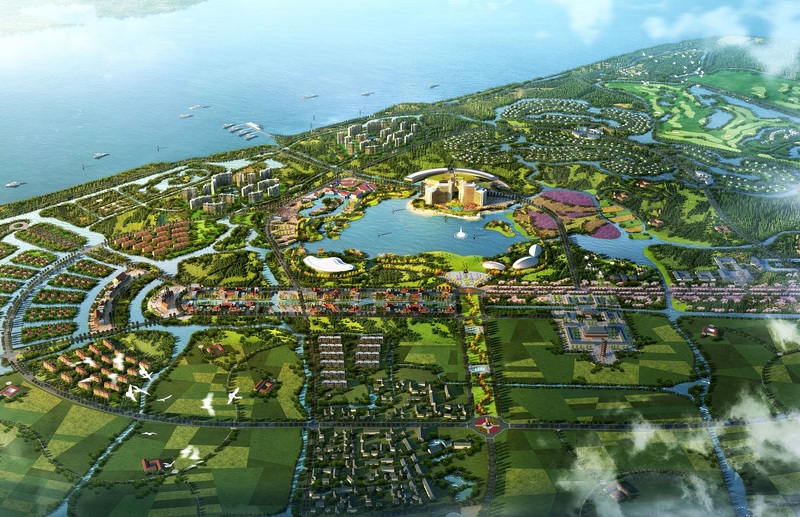 With the market needs and customer demands in Yangtze River Delta, the aim is to build a unique international resort island in Yangtze River basin. The product assortment and the arrangement implementation will be cleared and defined by integrating the project features and the successful cases. With a pedigree stretching back to 1868, Halcrow is one of the internationally renowned multi-disciplinary engineering consulting firms in the world, with its headquarter based in London, England. Halcrow has a rich history of exciting projects through the decades. According to the American Engineering-New Record Magazine 2011, Halcrow Group Ltd ranked 36th of the top 200 international design firms. Halcrow（China） is a professional design company established in Shanghai in 2002. We focus on for China's urban planning and architectural design business, and provide an international high level design service for customers. © Halcrow 2018 All rights Reserved.